Dreadtober has been great for giving my hobby a boost. I still have 300+ models to do, but most of the larger models have been done. I am nearing the end of the adventure with both this model and Dreadtober. Here is part #4 of my progress for my pledge. 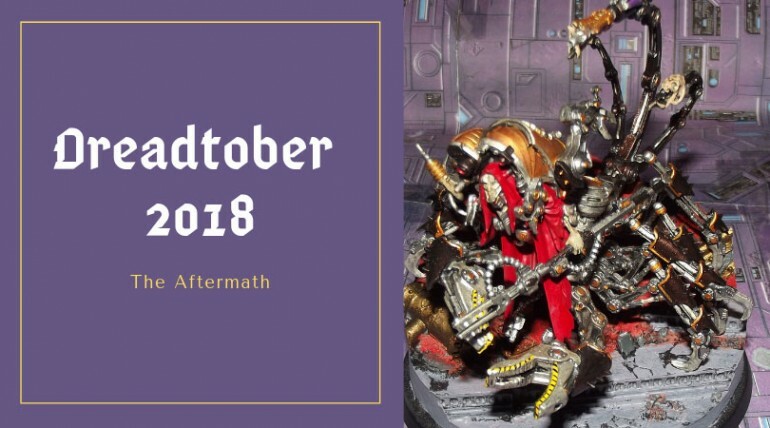 I have now finished a Leviathan Dreadnought and Tzeeentch Daemon Prince for Dreadtober 2018. I've also made progress on Magos Scoria. I'm continuing my 2018 Dreadtober pledge. I'm progressing on the Alien King and a Leviathan Dreadnought. Completed a Scuttlefex & Old One Eye.